Our Tennessee artisan pairs hand-hammered aluminum with Swarovski crystals to create this midnight blue druzy necklace. Our gemstone necklace, a limited edition of 50, features a midnight blue druzy gemstone wrapped with gold wire on a silver chain, creating a boldly dramatic look. 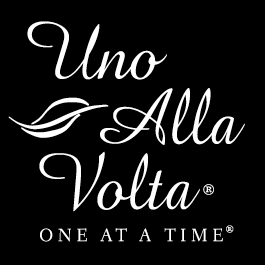 Each druzy necklace is masterfully handcrafted exclusively for Uno Alla Volta, from the heart and hands of the artisan; no two are exactly alike. Necklace measures 18in. long with 2in. long pendant.